This unique museum reveals the natural world and cultural history of the West’s High Desert region through artful exhibits, alluring animals, engaging programs and meaningful history. Whether you’re a local or planning to visit Bend Oregon, discover why we’re a top-rated Thing to Do in Bend by TripAdvisor! 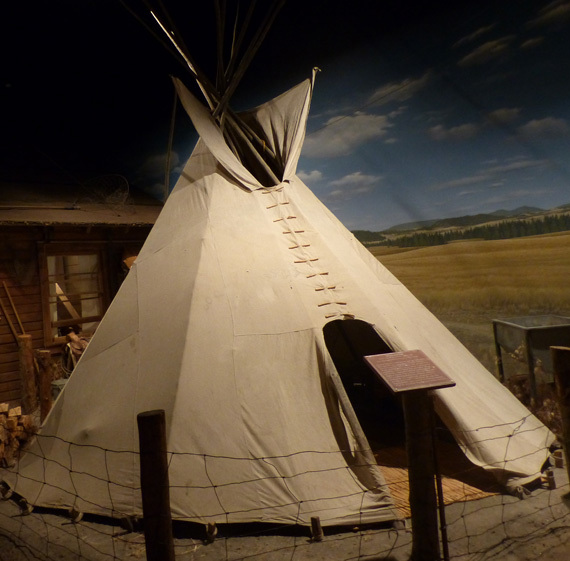 The Museum is just 5 minutes south of Bend or 10 minutes north of Sunriver on Highway 97, but it feels like stepping into a different time and place. 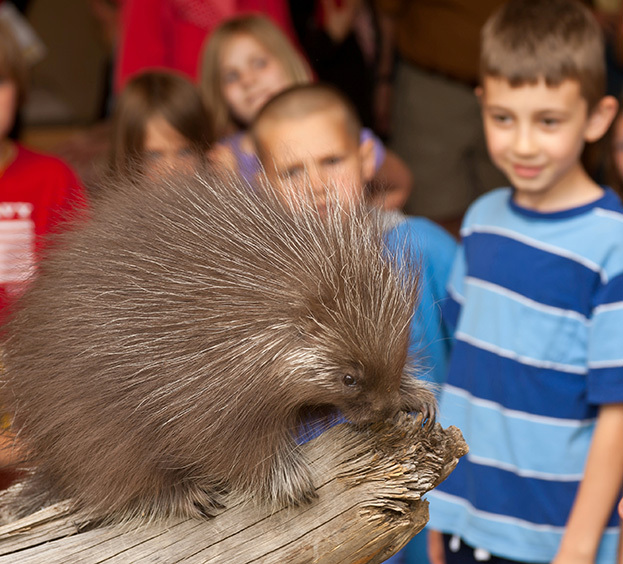 Get close-up views of native wildlife such as river otters, porcupines and birds of prey. See art through a different lens. 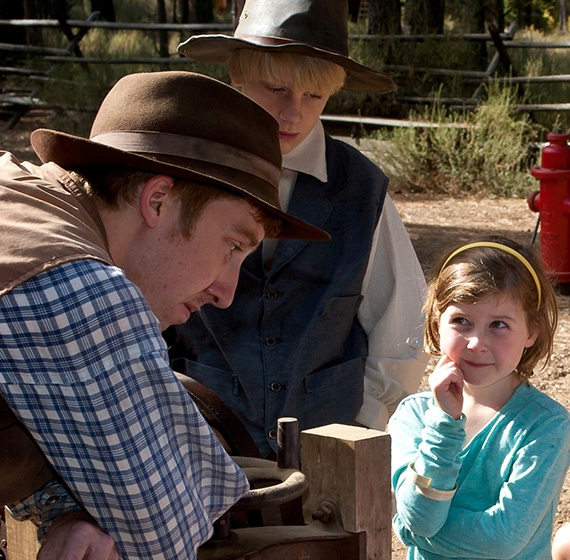 Chat with historic characters who’ll share tales of early Oregon explorers and settlers. Visit an authentic homestead and sawmill from 1904. Learn about Native American culture and history, and delight your children with one of many fun, hands-on programs. You’ll be glad you came! Plan your day around exciting animal encounters, exhibit tours, talks and nature walks. Be sure to allow time to shop for beautiful jewelry, artwork, books and toys in Silver Sage Trading and enjoy a delicious lunch or cold beverage in the Rimrock Café! Admission for members during normal business hours is always free! If you’re not yet a member, now’s a great time to become one! Membership includes exclusive invitations to special events, unlimited admission to the Museum for a full year, and discounts on programs and in the Museum store and Rimrock Café. Click here to join! Open daily, except for Fourth of July, Thanksgiving and Christmas. Active U.S. military and families are free, with identification! Click here for more information about the Blue Star Museums program. AAA Discount. We offer a 10% AAA discount with a valid AAA membership card. Military Discount. Veterans and retired military personnel with government ID receive 10% off their family admission. Blue Star Museum Discount. Free admission for all active duty, National Guard and Reserve military personnel and up to five family members with identification. Museums for All. Guests with an Electronics Benefits Transfer (EBT) card and photo ID receive a reduced admission rate of $2.00 per person, offered for up to six individuals (up to two adults and four children) and is valid during normal business hours only. The Museum accepts Visa and Mastercard only. We suggest that you allow at least two to three hours for your visit.